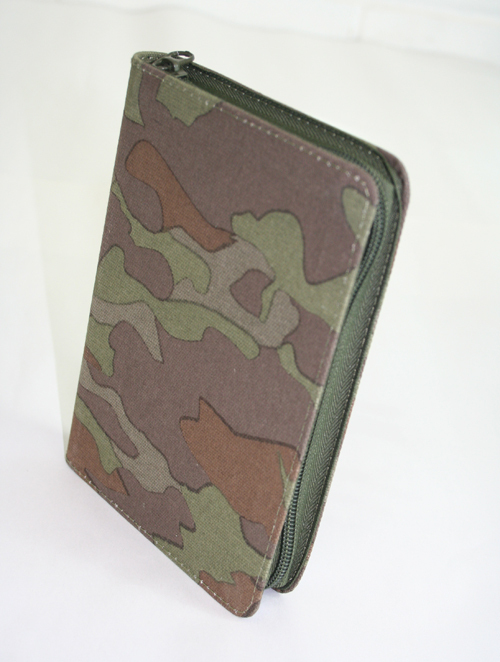 1	3	NLT Compact Camouflage Bible: Green, Canvas, with Zip	In Stock - Order before 4pm for same day dispatchWant it on Wednesday 24 April? Crafted with care?while being small enough to fit into a coat pocket or purse?the Camo Bible offers a durable camouflage canvas cover, complete with zipper closure to protect the Bible pages. The perfect choice for either gift giving or personal use, the Green Camo Bible in the New Living Translation will help anyone experience God?s Word in a fresh, new way - Also available in Pink Camo! 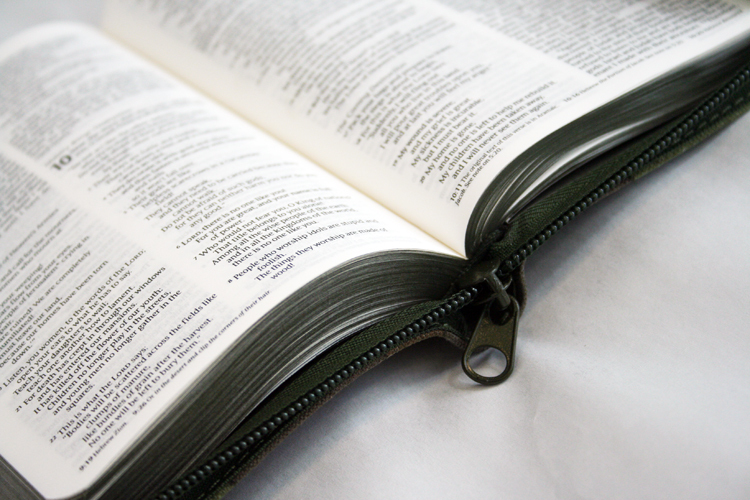 About the NLT: The New Living Translation is based on the most recent scholarship in the theory of translation. The challenge for the translators was to create a text that would make the same impact in the life of modern readers that the original text had for the original readers. 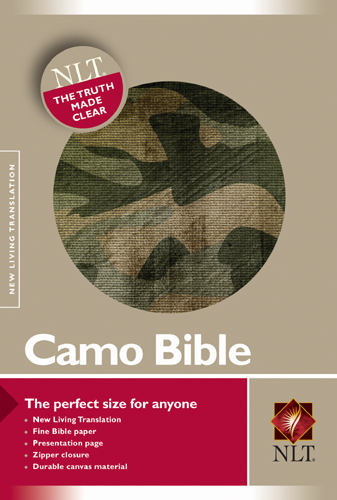 NLT Compact Camouflage Bible: Green, Canvas, with Zip by New Living Trans 2 was published by Tyndale House Publishers in July 2008 and is our 5810th best seller. The ISBN for NLT Compact Camouflage Bible: Green, Canvas, with Zip is 9781414322018. Crafted with care - while being small enough to fit into a coat pocket or handbag - the Camo Bible offers a durable camouflage canvas cover, complete with zip closure to protect the Bible pages. The perfect choice for either gift giving or personal use, the Camo Bible in the New Living Translation will help anyone experience God's Word in a fresh, new way. This is a lovely, coat-pocket edition with a nice secure zip. But - and it's a big but - the font is too small to read, even with my glasses on. So I just can't use it. Got a question? No problem! 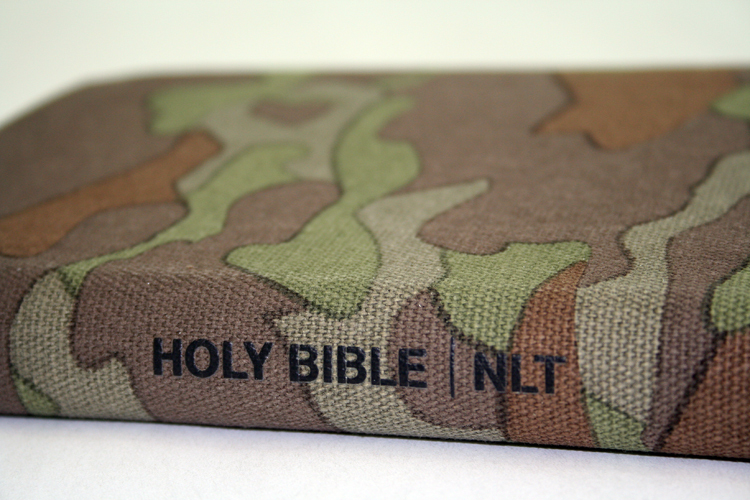 Just click here to ask us about NLT Compact Camouflage Bible: Green, Canvas, with Zip. What colour and material is the zip please? A:The zip is made from metal, and coloured green to match the cover.